AdvancePro is all about unifying your business processes to help you make great business decisions using accurate, real-time information. 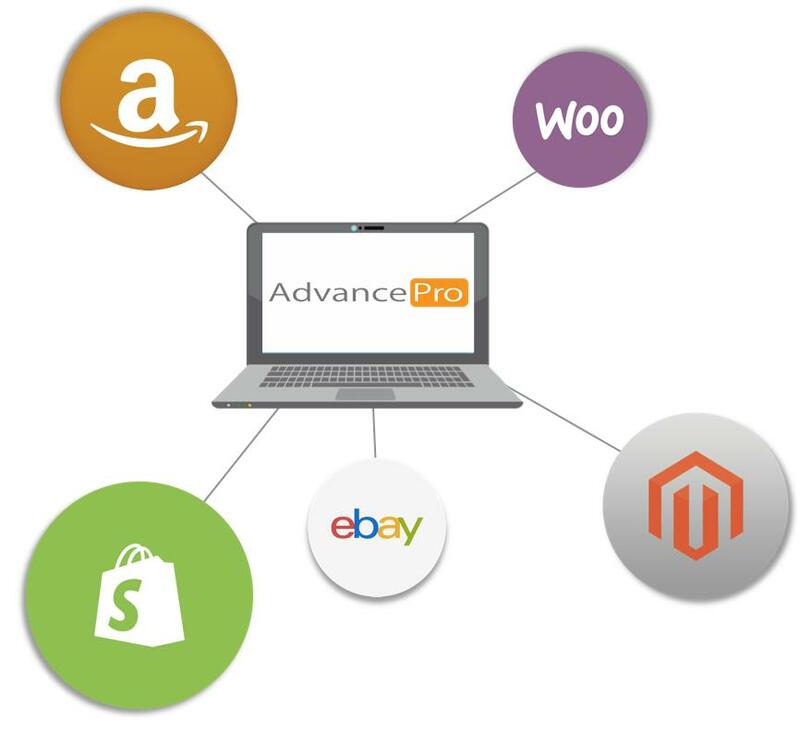 In keeping with this mandate, AdvancePro integrates with major e-commerce platforms like Shopify, Magento and WooCommerce. Now, you can experience the power of modern inventory management paired seamlessly with your e-commerce store for complete inventory control. Like AdvancePro, Shopify was created by users who felt that the available options on the market lacked the tools they really needed to be successful. Approaching development from this perspective has enabled our respective companies to apply a customer-oriented approach to optimize the all-around user experience. Both platforms are at once simple enough to engage new users and powerful enough to support growth and complex workflows. And, by harnessing the integrated power of both AdvancePro and Shopify, our clients can now have world-class technology at their disposal at both the front and back-end of their businesses. You will have the clarity you need, from production to sales to fulfillment, so you’ll have the freedom to focus on what really matters!